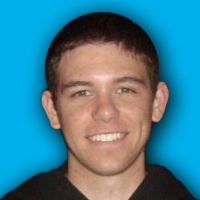 Alex Carr has gained insight from staking a roster of 120 poker players through his staking stable. He's seen what boosts players to the next level and what leaks drag them down. In this interview, you'll benefit from a few of those invaluable insights. Recently I had the pleasure of interviewing Alex Carr, owner Pocarr, one of the largest staking stables in the world. Pocarr boasts a roster of 120 online MTT players who play a variety of stakes. Besides backing the site also provides its players coaching from top online performers like Jon “apestyles” van Fleet, Alexander “Assassinato” Fitzgerald, Mat “Aussie_Star1” Brown, Matthew “mjw006” Wakeman, two-time Sunday Million winner Rob Tinnion, among others. I asked Carr to delineate some of the most common mental game leaks he sees among his players. While the leaks he mentioned are specific to those who play online, I believe that most apply just as well to live players. 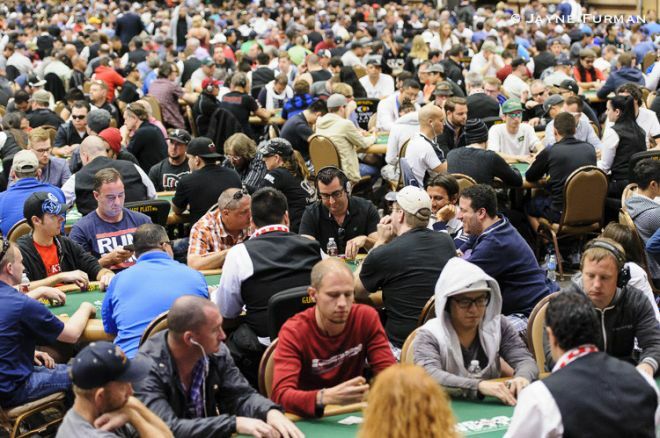 PokerNews: What are some of the most common leaks you see among poker players? Alex Carr: Being distracted is a huge leak. Whether it’s Skype, Facebook or watching someone else’s Twitch stream, it’s a serious leak to be distracted while you are playing. You need to have a clear focus when you have to make strategic choices. You should delete programs and apps off your phone and computer and make them difficult to access. Can multi-tabling be a leak? Playing too many tables at once can lower your ROI (return on investment). The most we like our players to have open at once is 6-8 tables. Any more than that and you are just mindlessly clicking buttons. It’s hard to make high quality decisions when you are playing 20 tables. Can you talk about the psychology of wanting to move up and play bigger games? A lot of players want to play the higher buy-ins because they think there is more money to be made at those levels. If you are an elite player there probably is more money to be made at the higher stakes, but most players can make a good living grinding a solid schedule of the lower buy-ins. We have plenty of guys at $25 ABI (average buy-in) who are making $100,000 per year without taking the huge swings that come with the higher buy-ins. There’s something even more important than moving up, though, and that’s playing high quality games. I tell my players to avoid low value MTTs. Can you elaborate? What are some factors players should consider when it comes to game selection? Basically, it comes down to do you want to play a game where your average ROI is 40 cents or one where your average ROI is $5 or even $10? You need to look at that as well as the rake. High rake has a huge impact. By avoiding low quality games, you should be able to increase your overall win rate and decrease variance. What personality traits would you identify as important for long-term success in poker? Being close-minded will definitely hurt you. Your results from a few years ago do not matter. You have to keep up — poker is ever evolving and the best players are always evolving and they are open-minded. You need to work on your game constantly. As a backer it’s scary to have someone in makeup who does not work on their game. Once you’re deep in makeup, the mental work required to get out is so much that if you haven’t been working all along, it’s a lost cause. How important is confidence to being a winning poker player? Confidence is very important. It is good for being willing to pull the trigger on making a big call or a big bluff. When your confidence is low, you probably play more ABC and you might even tighten up unnecessarily as the MTT progresses because you are afraid of busting. Don’t freeze up. Forget about the money. At the end of the day it’s just poker and you’re dealing with BBs (big blinds) and your job is to just make the highest EV decision. What are your thoughts on bad beat stories? Spending energy on bad beats is energy that could be better spent elsewhere. There is no room for bad beat stories at Pocarr. We don’t allow it in our chat groups or forums. Instead of thinking about a bad beat, take that time to mark a real hand that matters for later discussion. Bad beat stories and videos waste everyone’s time. Besides, it’s hard to improve when you are hung up on your aces getting cracked. Put your focus on things that matter. As long as you got your money in good, that’s all that matters. What is the best way for players to progress in their games? Study in a way that is active. Passively watching a video while you are playing is worthless. You want to take notes while you’re watching. Also, join a training site and do active learning there. Get into discussions. If you can afford it, get a coach. A coach can point out holes in your game that you might not even notice. People seem to hide their weaknesses from themselves. Get a fresh set of eyes to look over your game. If you want to be a professional, you have to act like a professional. If you treat it like an amateur, you’re going to play like an amateur. Thanks to Alex Carr for taking the time. Find out more about him and his staking stable at the Pocarr website.